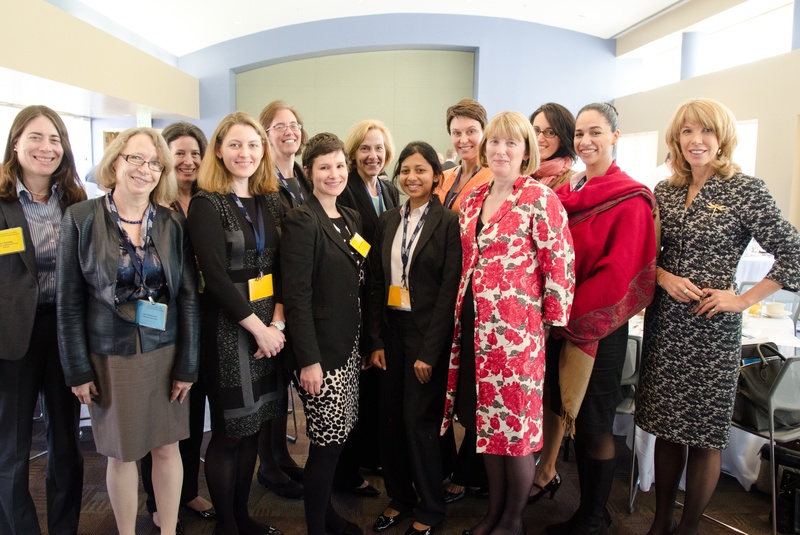 IntLawGrrls contributors gather at the 2012 American Society of International Law Midyear Meeting at the Dean Rusk International Law Center, University of Georgia School of Law, Athens, Georgia. From left, Hari Osofsky, Lori Fisler Damrosch, Laura Dickinson, Nienke Grossman, Elizabeth Andersen, Sadie Blanchard, Diane Marie Amann, Neha Jain, Yvonne Dutton, Fionnuala Ní Aoláin, Jenia Iontcheva Turner, Noura Erakat, and Patricia O’Brien. IntLawGrrls was founded in March 2007 by Diane Marie Amann as a blog authored by women who teach and work in international law, policy and practice. Within years, IntLawGrrls ranked among the top 25 law professors’ blogs. We went on a brief hiatus in December 2012. The enthusiasm and support of our readers prompted editors to revive IntLawGrrls on March 8, 2013 – International Women’s Day. We continue to thrive, having welcomed more than 400 contributors since our founding a decade ago. IntLawGrrls aims to give voice to women scholars, lawyers, policymakers, leaders, activists, on issues related to international law, policy and practice, from arbitration to human rights to trade, among other topics of expertise. We provide insights into current events in international law and policy as well as detailed commentary on specific issues. We are particularly mindful of foregrounding voices of junior lawyers and scholars and others who are less often heard in international legal dialogue. We aim to bridge the theory and practice divide by engaging dialogue among scholars, policymakers, judges, prosecutors, students, and filmmakers. Although we are primarily law professors and lawyers, we bring together viewpoints from other fields, including political science and anthropology. We conduct an annual online symposium on important topics in international law. We invite you to contribute a post to IntLawGrrls via e-mail at intlawgrrls@gmail.com. Your post, of 500-1,000 words, should discuss an important issue of international, comparative, or transnational law or policy in a substantive and meaningful way. No prior blogging experience is necessary. We are grateful for institutional support from the International Human Rights Clinic at the University of Chicago and the Cardozo Law Institute in Holocaust and Human Rights.